The Canvas Cocoon is a temporary, reusable structure that enables users to relax, rest and recreate during (and after!) the festival of Sukkot. 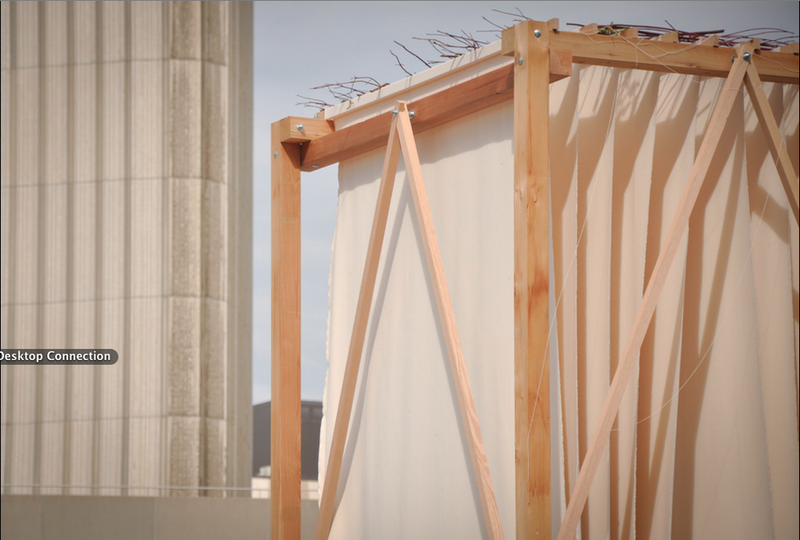 The space is constructed with three primary materials: wood, cotton canvas and jute. 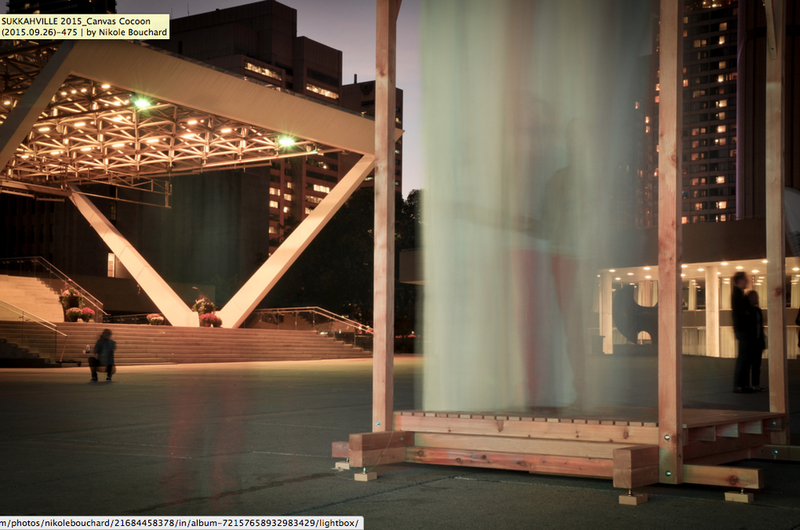 Large sheets of canvas are suspended from the wooden structure. These canvas sheets are fastened to the jute cables at the top of the structure to create a series of malleable, flexible walls. The visitor is encouraged to seek a sense of reflection, security and comfort within this arrangement of canvas sheets, as they envelop him or her and temporarily shut out the outside world. 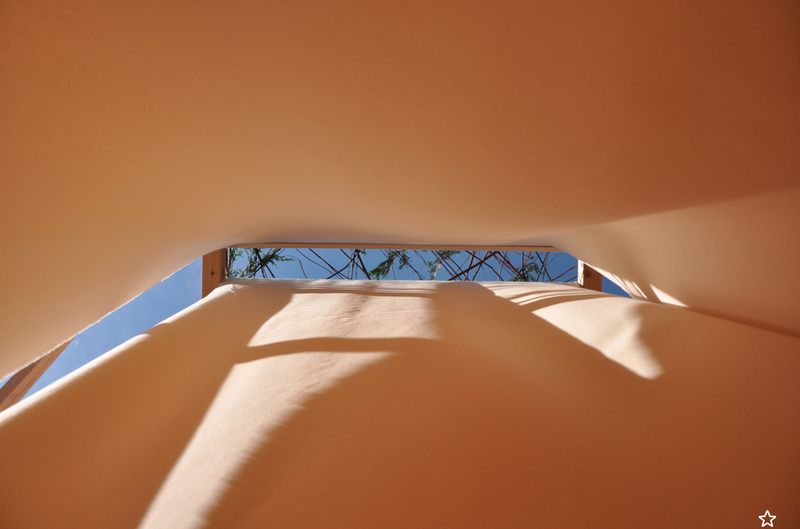 As the user turns his head upward, a stunning view of the sky is glimpsed through the flapping sheets. 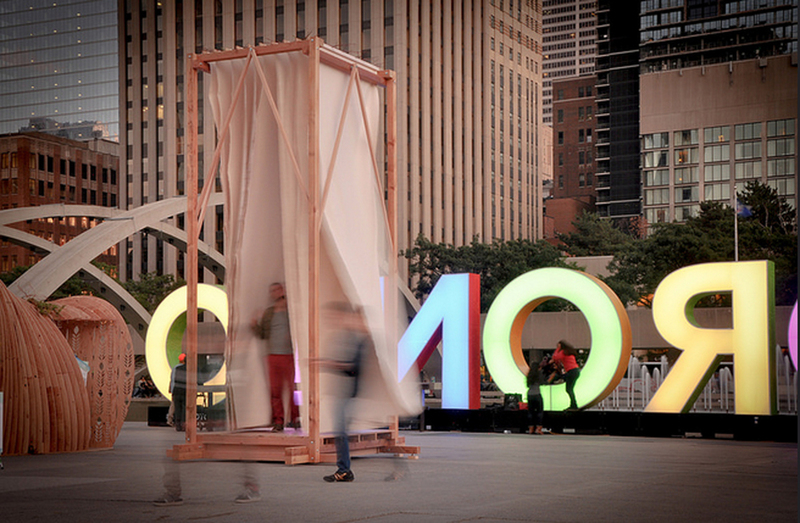 Following Sukkot, the Canvas Cocoon was disassembled and the materials brought back to Milwaukee, where they will be distributed and reused by local childrens groups to create art.